It looks like the MTA finally wised up and closed the Park Place stop on the downtown loop for the QM buses. It's bad enough the downtown loop takes a half hour or more to do during the heights of the rush, but buses going up to Warren Street just added even more time. Before they added that stop at Park Place last year , some drivers would turn onto Vesey and go straight to Park Row instead of going up around and down Broadway with all that traffic. @Via Garibaldi 8 alot of experience buses are being transferred from BP. Do you know if this is causing another shortage? (They have around 19 express buses now) Don't want to see those hybrids on the express routes again. There won’t be any hybrids. I was assured of this when it was happening before. It was me who mentioned the problem in the first place months ago. The issue was addressed with a transfer of MCIs. BP has very few express buses, and they see heavy usage. Some of those MCIs are also quite old and so they run into shortages as a result. 2848 is an older MCI compared to 3118. Likely just a mileage swap. The still plans on not allowing coins to be used for payment on express buses, BUT coins will still be allowed on local buses. We are VEHEMENTLY opposed to this and wrote to the earlier to request again that they reconsider this policy until the new OMNY payment system is fairly implemented. 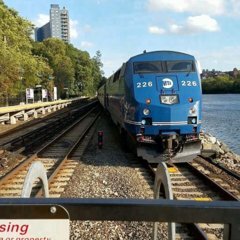 This policy unfairly targets riders in transportation deserts where the stores are usually out of Metrocards, and the few places with Metrocard vending machines are broken. We have a conference call scheduled for tomorrow to discuss this further. We will keep you posted. CP dropped the ball today with whoever the heck was running the 1600 QM20 back to Queens today. The bus took the 57th Street shortcut but then proceeded to keep going down 57th Street, skipping all pick ups on 59th Street. The bus then cut in and out of BusTime, only showing up on the QB Bridge and at the drop off points in Whitestone. Based on this, I'm pretty sure the BO took the upper level, got lost, and then took some crazy way back to Whitestone from there. The regulars on my route were not pleased at all. Only took another half an hour to wait for the packed 1630 QM20 to pick up everyone who was stranded. Ended up basically bunching with the 1615 QM2, which was running over 10 minutes late due to traffic. The regulars on my route said the regular 1600 QM20 operator was on vacation this week so whatever sub they found for today clearly had no idea what they were doing. We are happy to announce that the Riverdale Press has agreed to interview us regarding the ‘s decision to eliminate coins on express buses. We will keep you posted. Express bus service is horrible tonight. The 6:30 and 7pm QM1 may not come. @QM1to6Ave Heading out now to see if the QM5s will be sent via Fresh Meadows. There was no 6:57am QM7 this morning, I'm sure some drivers took off for the holidays coming up and they either are short drivers are just aren't bothering to fill the trips. And also the SIM3 will not run tommorow. SIM3 riders will have to stay with the elongated SIM3C but I feel like people are just going to get off in downtown and take the subway up. Some might use the SIM30/31 but those routes run every 20-30 minutes. However, the SIM3C will have early morning SI bound service. No need for the SIM3 because traffic should be light tomorrow. But I don't know why they do that if they don't do it to the other routes? (They don't have the SIM4C running instead of the SIM4/8 or the SIM1C running instead of the SIM1C/10.) Why does SIM3 riders have to get screwed over while other lines only have a reduced headway? The SIM2 doesn't even change on Good Friday. Exactly the same as the weekday schedule. It’s really not a big deal. Believe me. For starters the SIM3C is only making a few more stops on the island. In Manhattan the time savings is negligible at best. Look at the run times to see what I’m talking about. When you don’t have traffic, you save on run time considerably. People will head out later too since tomorrow is a light day traffic wise. Ridership patterns are different. A lot of people drive to that line and will be off, so there’s that to consider as well. OMG... This morning's commute on Staten Island was a DISASTER!!! Not enough express buses.... They reduced the schedules so much that people were not only standing, but couldn't get on!! They now have to scramble to add service for the afternoon rush. I also was told that the SIM3 AND SIM3C were running despite the schedule saying that only the SIM3C was running today. Just a mess... For the afternoon rush, the agreed to add service on the "combination" lines ONLY. 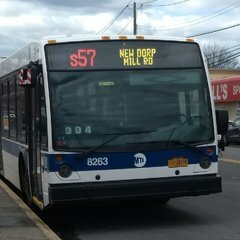 People should refer to the modified schedules for all other Staten Island express bus lines... Given what a mess this has been, I STRONGLY suggest using BusTime desktop mode to track your bus where possible. See below for the SIM lines and the X27, X28, X37, X38, X63, X64 and X68 lines. For the BM, QM and BxM lines, regular service. My commute in was fine this morning on the BxM1 (thank God).